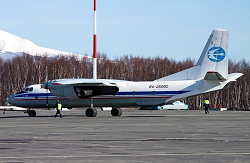 On take-off (direction runway 10) the Antonov 26 cargo aircraft apparently suffered a failure in its right engne #2. The pilots aborted the take-off at high speed but eventually lost directional control causing the AN-26 to veer off to the right of the runway where it ran into deep snow. The right maingear collapsed and the right wingtip broke when it hit the ground hard. The right propeller bladdes were also damaged when they contacted the ground before the aircraft came to a stop. None of the five crewmembers on board were injured. 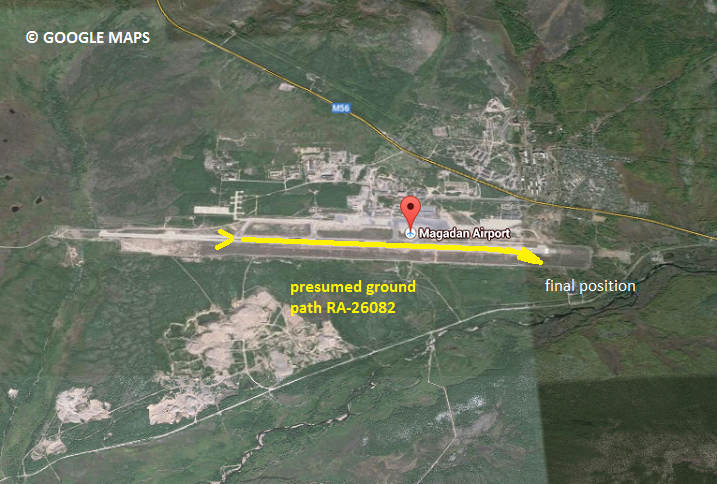 Magadan´s single runway is 3452 meters in lengh.